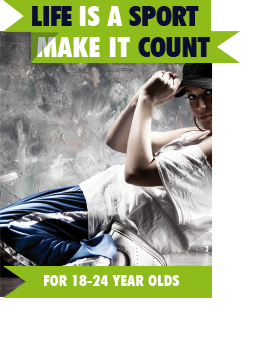 Centre Spot CIC has received funding to deliver an exciting two year project for up to 30 young people from the Friar Park area of Wednesbury age 12-16 years old. 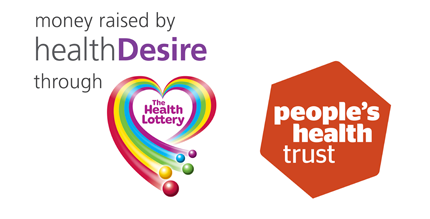 People’s Health Trust has invested £44,100 in the “Creating a better Friar Park Project”, using money raised by HealthDesire through The Health Lottery. The two year project will deliver weekly sport and media activities, and will also include day trips, workshops led by inspirational speakers, and social action initiatives. 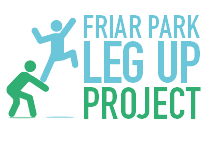 We hope to create stronger links between 30 young people from the Friar Park estate. Within activities of shared interests 15 young people will meet and supported by Centre Spot staff, develop positive relationships. As a highly deprived community young people locally are regularly drawn into negative behaviours and harmful friendships and relationships. Young people locally need to create positive relationships with their peers where they can talk about their future plans and aspirations and be encouraged and supported by one-another to achieve these. People living in the poorest neighbourhoods in Britain die, on average, seven years younger than people living in the richest neighbourhoods. What’s more, they will spend 17 years more of their shortened lives with an extra disability and have a lower quality of life. We believe that where people live should not unfairly reduce the length or the quality of their lives. Active Communities is a funding programme for local people with great ideas about how to help create fairer places to grow, live, work and age well. Centre Spot CIC is a creative social enterprise that uses Sports and Physical Activity to engage and build capacities of people, particularly young people. Centre Spot seeks to encourage the uptake of physical activity, and improve the physical wellbeing of disadvantaged individuals and communities through targeting sports and wellbeing activities at deprived communities where we have strong relationships. This entry was posted in news on February 28, 2019 by manny. Centre Spot have received a National Lottery grant to explore the history of traditional playground games in the UK. Centre Spot have been granted over £50,000 from the Heritage Lottery Fund (HLF) to help young people learn about their own heritage, through the exploration of traditional playground games. The exciting new project will be based in the Black Country area and benefit children 8 – 11 years old, who are interested in volunteering for this project. The project will focus on traditional playground games, where they came from and how to play them. Centre Spot also wants to create educational workbooks and a DVD that will support the project and help bring back playground games into our schools and communities. The project will concentrate on games such as tag, hopscotch, British bulldog and many more games that will teach young people about their backgrounds and show the children how to exhibit this information, through film making. The DVD will explore these games in detail and tell the stories behind them, as well as communicate how these games were played. Centre Spot want volunteers to lead the sessions with the help of co-ordinators and deliver the sessions to primary schools in the area. Children are now introduced to televisions, computers and phones at earlier ages, which now seem to dominate their lives. More and more children are growing up inactive, due to the overuse of these devices and we have somehow forgotten that play is a major part of a child’s development. 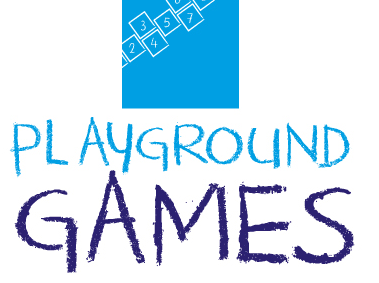 Playground games are a fun and simplistic way of keeping the children in our community active, as well as furthering them to learn essential life skills, such as communicating with others and being creative. The project itself will open up more opportunities for young people to volunteer and gain necessary experience, needed to help them progress personally and professionally. This project will benefit our community by looking at popular games in the Black Country and comparing those to which are played nationally. Through this we want to compare both the differences and similarities between them and educate young people on those which are distinct to the Black Country. In addition to teaching children about their heritage, we want to show children that physical activity can be fun and creative. We think that playground games are an advantage to children and schools across the Black Country, so we want to demonstrate this, with our project. Centre Spot are a non-profit organisation that uses sport and physical activity to engage and develop young people. We want to help 20 young people, volunteer and engage other individuals, by collecting information about their heritage and achieving this through physical activity; which has been made possible by the National Lottery. We want to take this opportunity to explore how these games started, developed and why they have disappeared over the last 100 years. The project will help these games to be reintroduced to schools and our communities, as well as educating young people about the heritage of the Black Country. This entry was posted in news on October 3, 2018 by manny. Sandwell charities Creative Academies Network (CAN) and Centre Sport have teamed up with national sports charity StreetGames to run an exciting programme called ‘Engage, Motivate & Move’. Commissioned by Sandwell Public Health, the initiative is aimed at working with schools and colleges to make sport sessions, fun and free to all 17 secondary schools in the Borough. Between now and July, pupils will be offered fun activities, including Kombat Krazee (martial arts to music) and StreetDance. These activities will appeal to young people who might not consider themselves “sporty” and those children who don’t currently engage in traditional sports clubs like football and cricket. Centre Spot is offering Primary Schools an opportunity to join in the excitement of the impending Euro 2016 Championships by offering schools the opportunity to purchase our specially designed Euro 2016 pack at a discounted price. • A printed A2 size Euro 2016 poster with special facts about all 24 countries taking part. • Printable Euros 2016 Worksheets for each country taking part designed to link into many curriculum areas using football, and the excitement of the Euros 2016 to engage your students. Once payment has been made, we will email your school the worksheet and quiz, and post your A2 poster. For more information please contact us today on. This entry was posted in news on February 12, 2016 by manny.